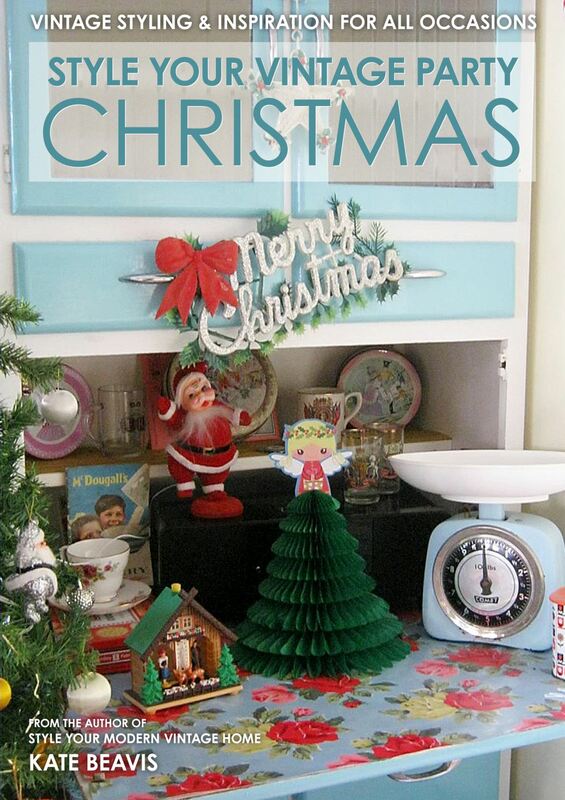 Rather than making a wreath this year, or maybe as well as, why not create another festive shape such as a Christmas tree or star? 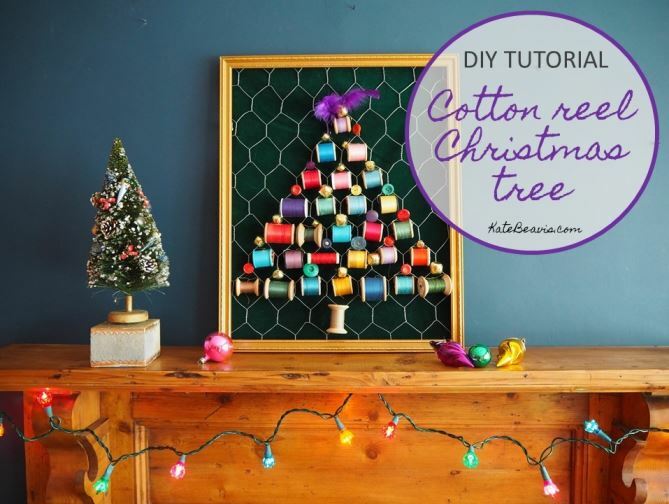 I have created a framed tree using lots of cotton reel, bells and buttons to add even more festive cheer to my fireplace! 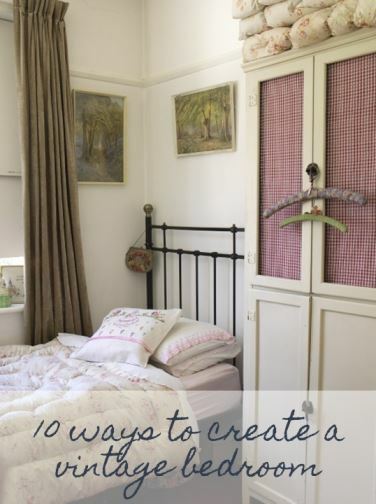 Step 1: Choose an old frame that you don’t mind replacing the picture from. I got one from a charity shop, choosing it as the frame was gold. It measures 43cm by 50cm. You may want to spray your frame in a metallic paint such as gold or copper. 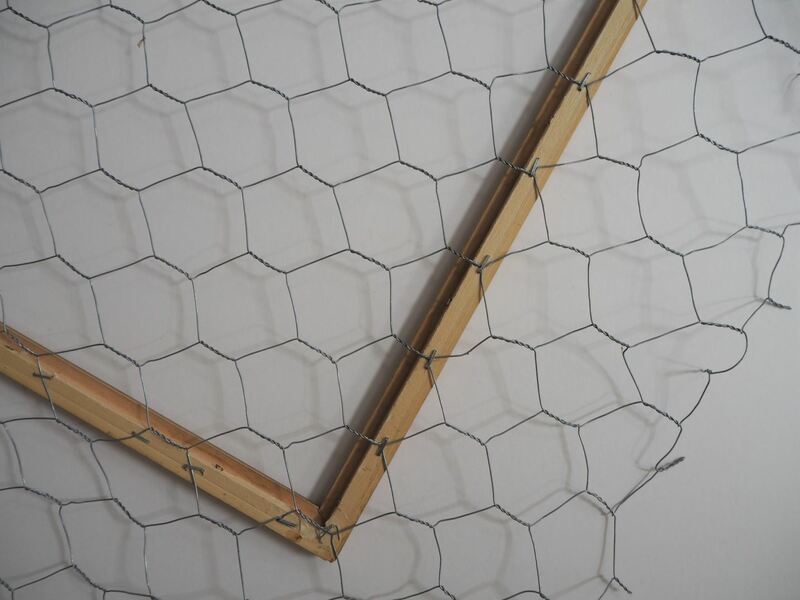 Step 2: Roll out the chicken wire on a large surface or the floor. 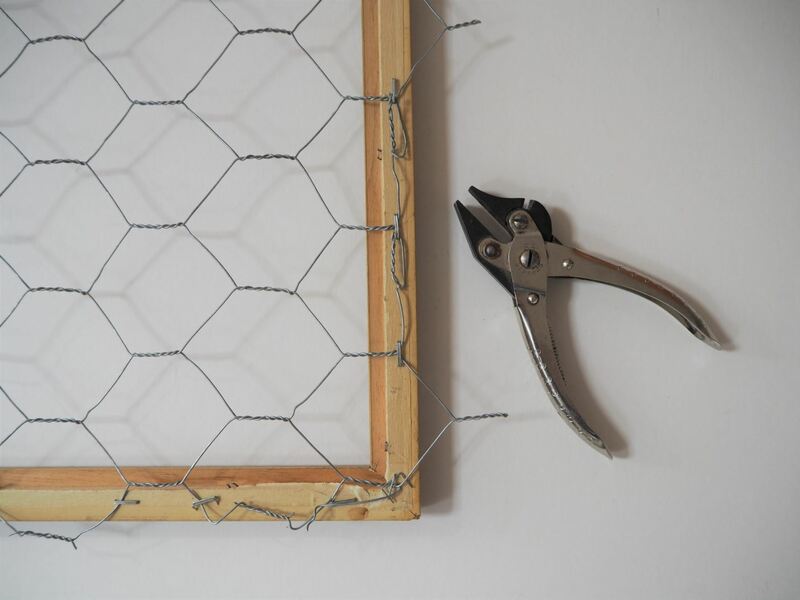 To cut the right size, place the frame upside down, underneath the chicken wire. 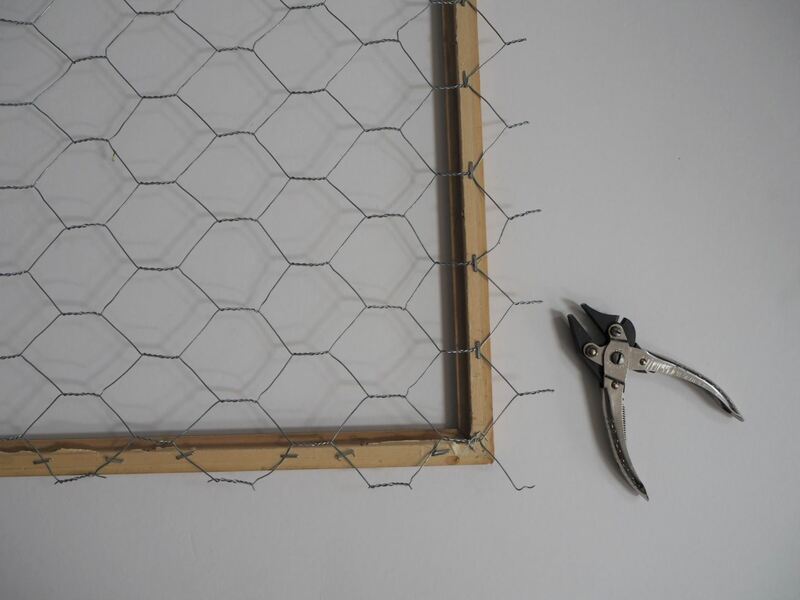 Using the wire cutters, snip the wire all the way round about 15cm too big for the frame. 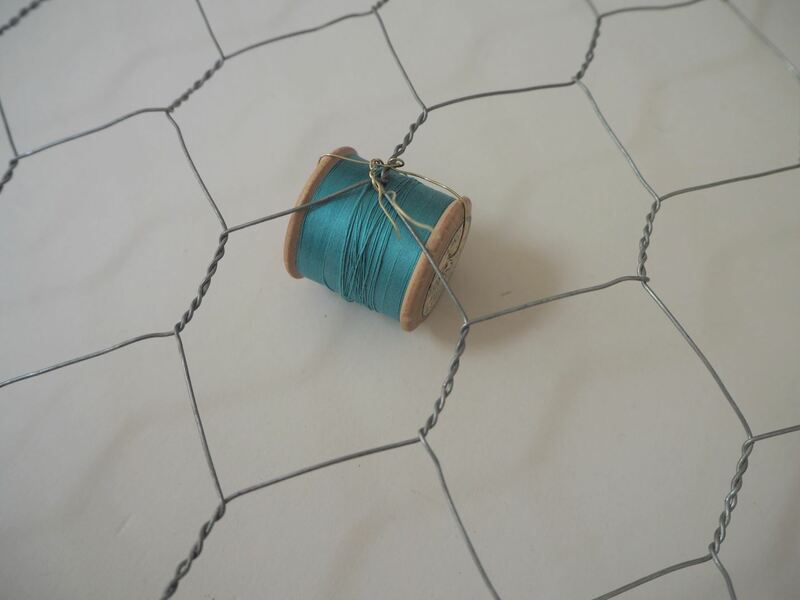 As chicken wire is made with twists to hold its shape, cut the wire above a twist so it does not unravel. Step 3: Pulling the wire tight, but not too tight to stretch the holes, staple it to the underside of the frame all the way round. Step 4: Using the wire cutters cut the excess wire above a twist. 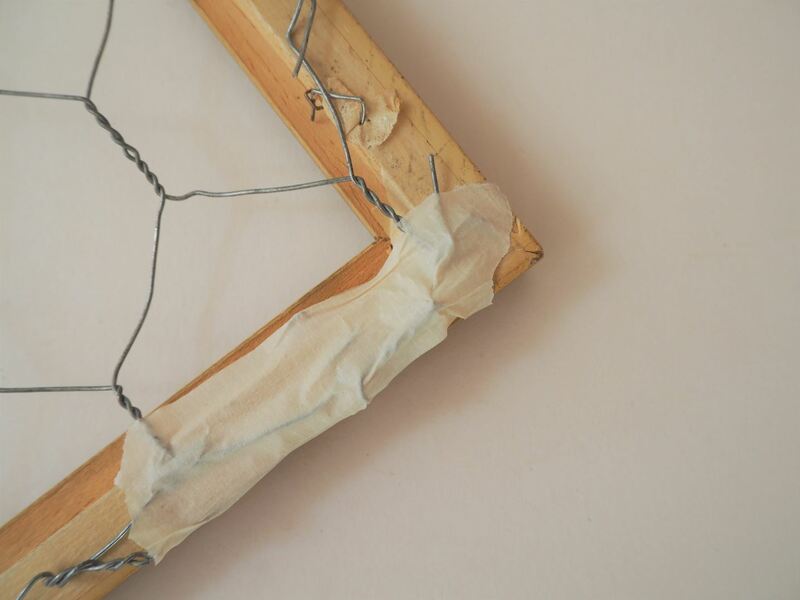 Then twist the over-hanging wire and bend downwards against the back of the frame. Be careful as some of the wire may be sharp. 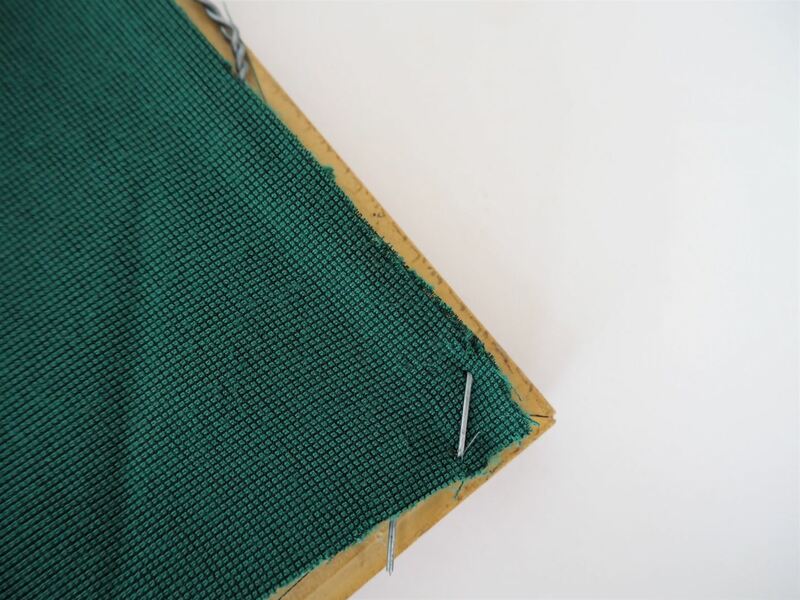 Step 5: Cover the back of the frame with masking or duct tape so it is tightly held down in place. 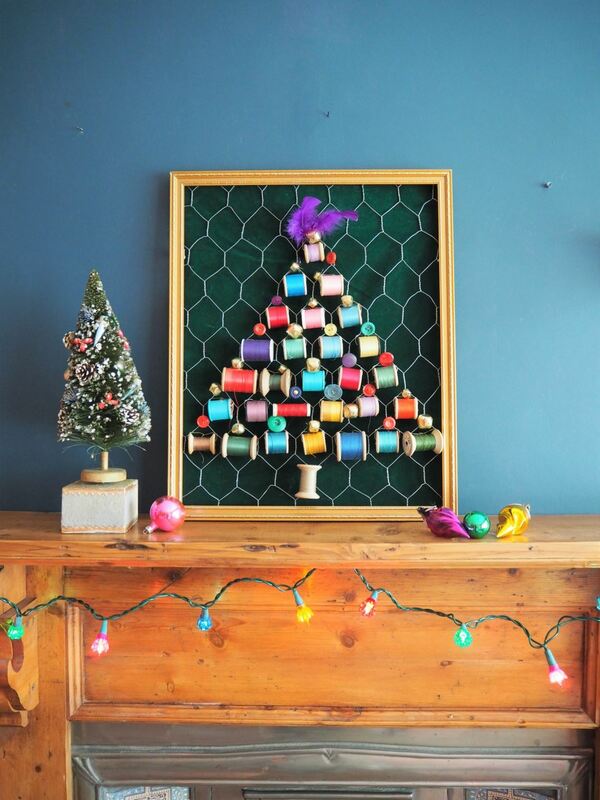 Make sure that no tape is visible when you turn the frame round. 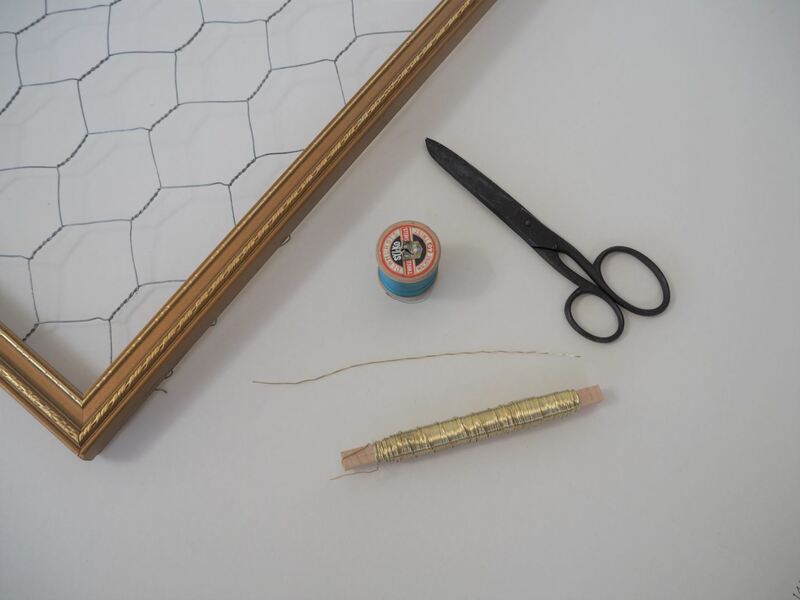 Step 6: Cut 15cm lengths of floristry wire to use to attach everything to the piece. Place the wire through the ends of the reel so that it hangs landscape in shape. 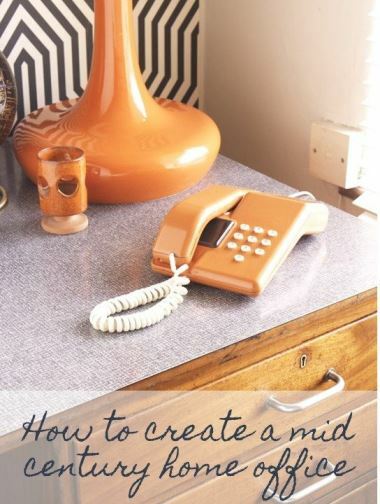 Attach the cotton reel to the wire where you want it to be and twist the excess at the back. 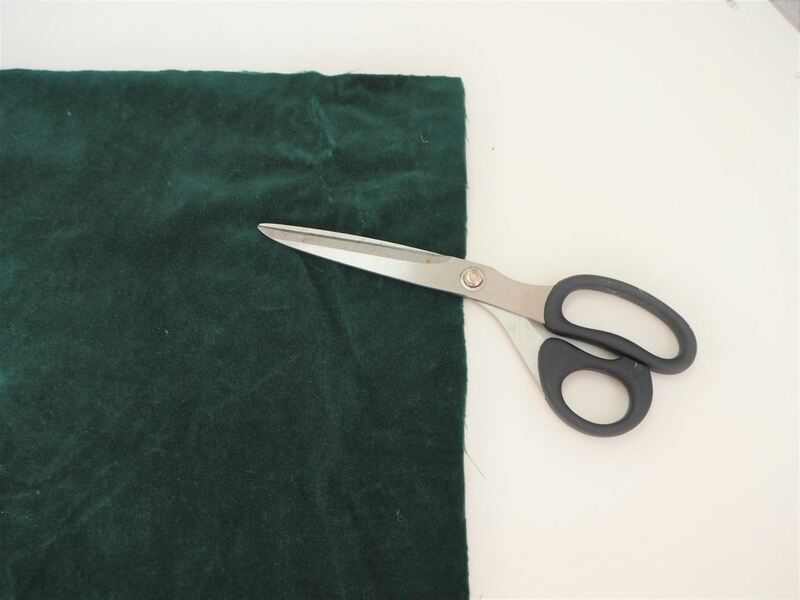 Cut most excess away using scissors. 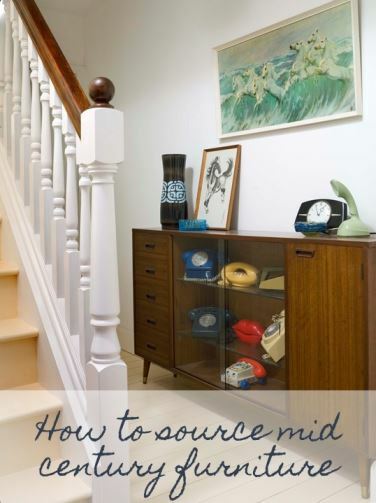 You may wish to place everything into position beforehand or work freestyle. I found the easiest way to create this was to sit the frame on a chair next to me so I could work from the front and back at the same time. 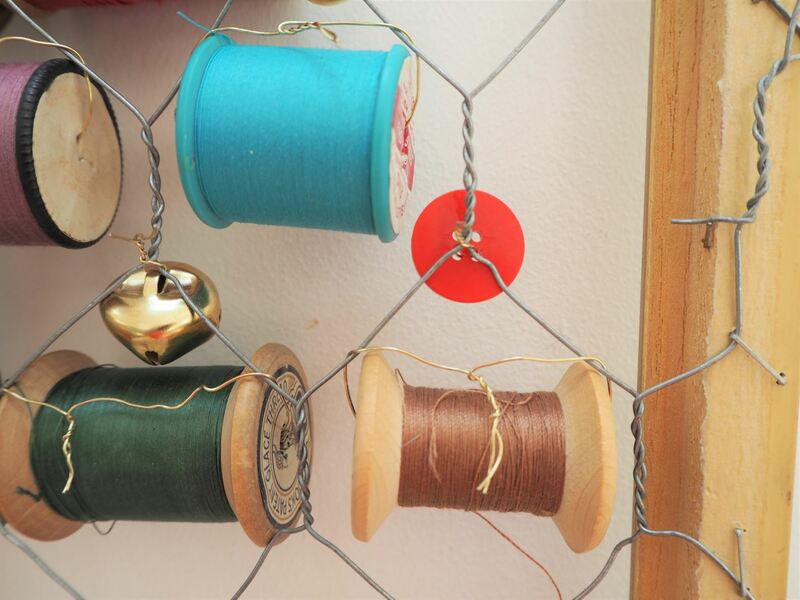 Step 7: Continue to attach all the cotton reels onto the wire. I chose reels with brightly jewelled cotton on already. 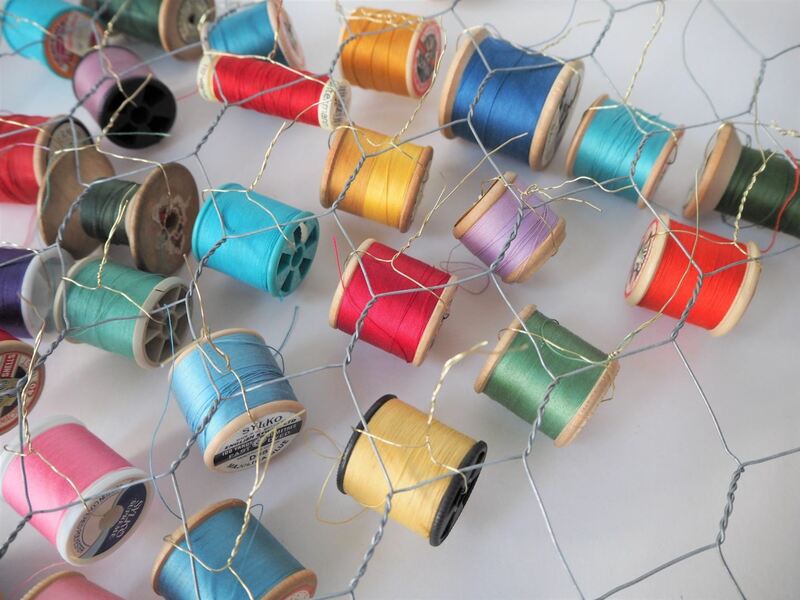 If you only have empty cotton reels, you could spray paint them in your preferred colours. 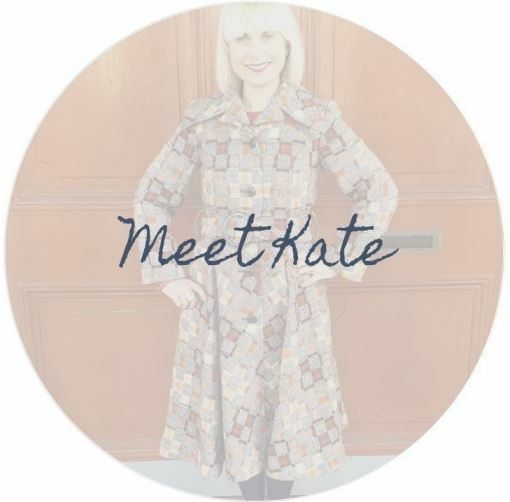 Step 8: Attach the floristry wire to bells, buttons and feathers to add to your design. I positioned them as if they were baubles on the tree. 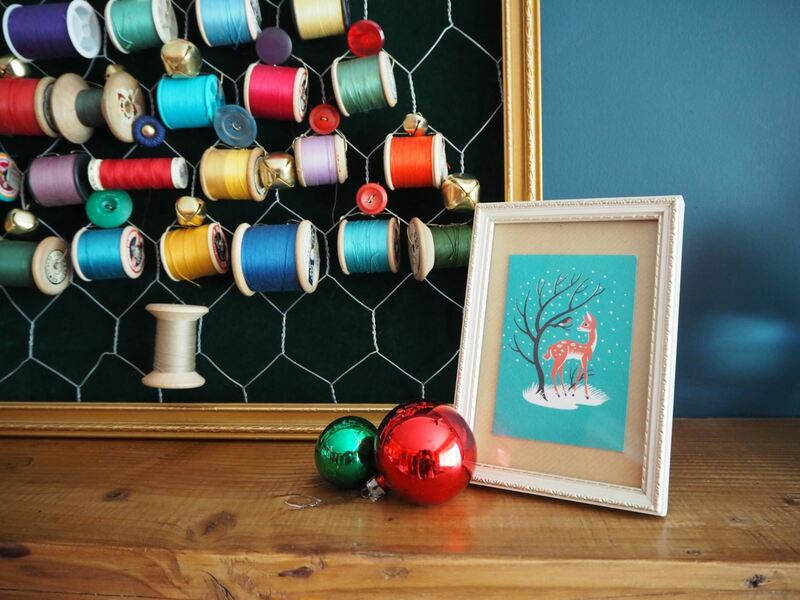 Step 9: Cut out a piece of fabric the same size as the frame. Hem if needed, then staple into place while pulling it tightly to avoid creases. 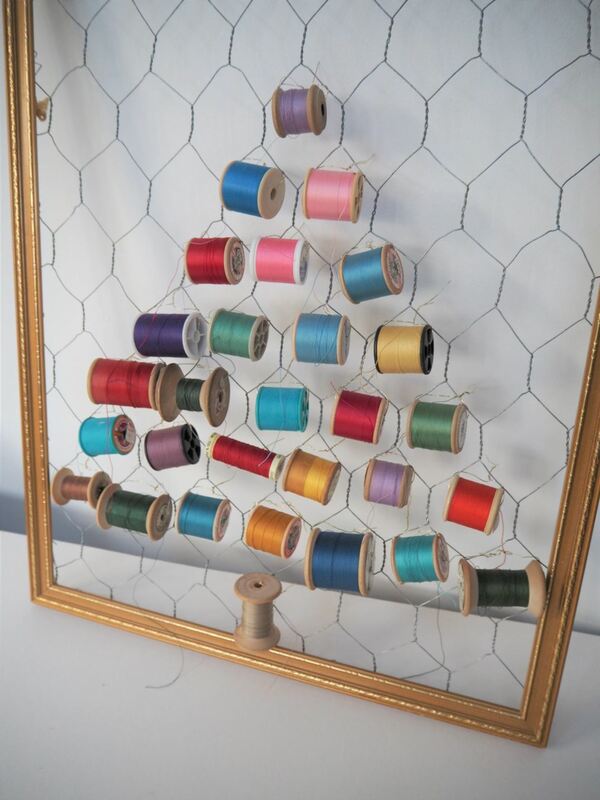 The great thing about this project is you can remove all the cotton reels after Christmas to continue with your sewing. 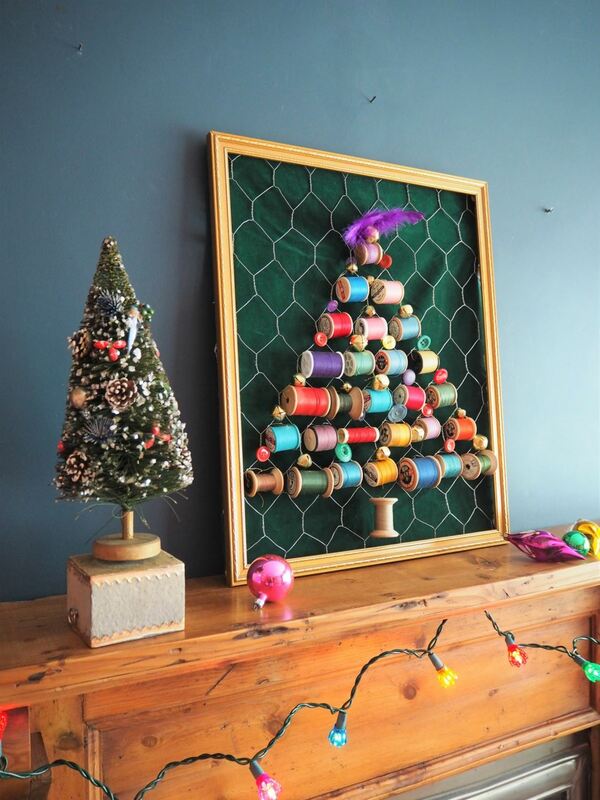 You could then use the frame with the chicken wire to peg letters and photos from throughout the year. 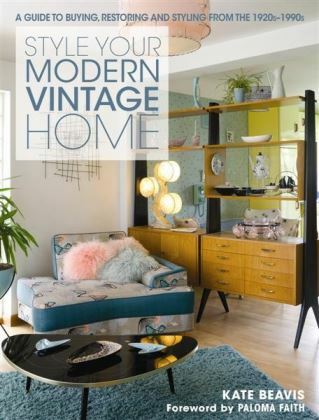 This is my November project for Reloved Magazine.